Can God really heal? I pondered on this question for most of my Christian life. 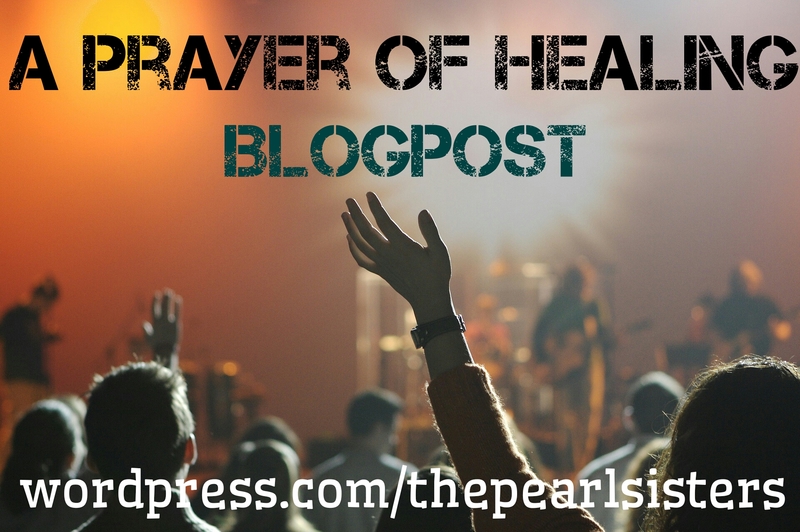 Are the testimonies we see were people “proclaim” they were healed by the Holy Spirit real? Is the same God who healed in the biblical days still able to perform miraculous healings? One will never know the answers until they fully surrender healing to the Lord. I prayed but the person still died, why didn’t God heal them? 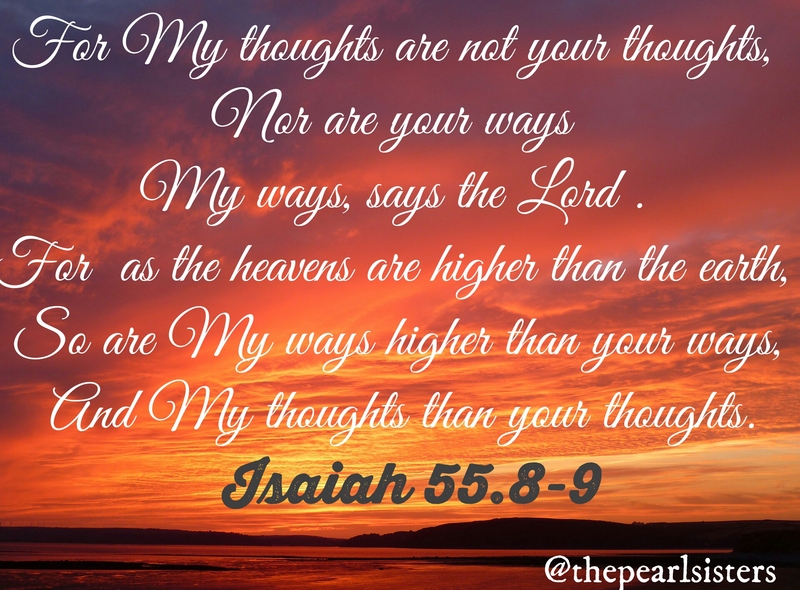 (Isaiah 55:8 “For my thoughts are not your thoughts, neither are your ways my ways,” declares the LORD). In such situations, we thank the Lord that the individual has received eternal life and no longer has to suffer on earth. During the early days of my Christian walk, my father (see the blog post: Rejected but not forgotten) was diagnosed with a brain tumour. It was a very difficult time for me as I had just entered into adolescence and had only met him once at the age of 8. Growing up, I had a lot of resentment towards him for not playing an active role in my upbringing. I never expected that the next time I would see him that he would be lifeless using an oxygen mask. A few days prior to his operation, he called me and said “Vanessa, you are still so young and I didn’t see you grow up. I am not sure I will make it through this operation”. I remember spontaneously responding: “daddy you will be fine”. After the operation, we were informed that my father’s operation was successful and the tumour was removed. However, he was in a coma and on life support. I was in the Netherlands at the time on holiday and my family took me to Universität zu Lübeck, Germany where he was. I remember seeing him for the second time after 6 years: tubes around his face and wearing an oxygen mask. I remember touching him and thanking God he was still warm and alive. I never knew that the next time I would see him; he would be in this kind of state. After the visit, my family sat me down and told me I needed to be strong and explained that the doctors where planning on taking him off life support the following week. I remember thinking to myself: “I refuse to be fatherless at this age, I want to have peace with my father. I want to forgive him, get to know him and give our relationship another chance”. At that point, I went on my knees, I don’t exactly remember the words I uttered. But I begged God not to take him. I grew up having a lot of bitterness towards him for not being an active person in my life. I asked God to forgive me. My only prayer was that he would wake up, and that God would allow me to get to know him. I didn’t want my father to pass away without me ever knowing him. I never told anyone I said that prayer until recently. However, God was faithful and my dad woke up from his coma the following day and they took him off life support. We went back to Universität zu Lübeck, and it was amazing seeing my father alive: talking, smiling and saying how tall I had become. Three years later, God fulfilled my prayer request and my father asked me if I could come and stay with him and get to know him. I stayed with him for 10 months. Less than a year after that, he passed away. I will always be grateful to God that He allowed me to get to know my father. It was not the most pleasant experience but it allowed me to fill a gap in my heart that I had desired for all my life. Also, I thank God for being merciful for extending his life for 5 extra years after the brain tumour- all glory to Jesus. If there is a loved one you are believing God for to heal, don’t give up. Surrender them to the Father, He is still able. However, also acknowledge that it is His desire for us to join Him in heaven and that the greatest prayer You can pray for their salvation. Post of volumes. Quite a few things to learn from this post here, thank you. Thanks Vannesa for your labour in God’s Word. Thanks also for the inspiration this morning to lift my family up in Prayer. What a beautiful testimony of Gods grace and the healing power of Jesus. 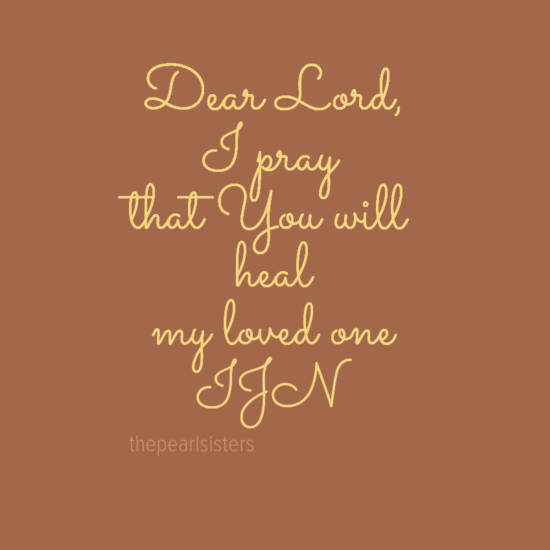 I prayed your prayer for my sister and her family, for my sister to be healed from her emotional pain and to find her way back to Jesus. Great post about our great God! Thank you for your “follow” and for your great site. Thank you for sharing this very personal story! We can and do pray for the healing powers of the Lord for all sorts of things which trouble so many people. But it does have to be in the hands of the Lord as to whether or not they are made better. I thought it very touching that you had such warm feelings for your father in his time of need, regardless of what had or hadn’t passed between the two of you during your childhood. God bless you Steve for this touching comment. May God continue to use you for his kingdom.may souls be touched by your testimony in Jesus name. Thank you for sharing this powerful story and prayer. I read the prayer out loud for my wayward adult children. Reading it out loud made it so much more powerful. Blessings to you. Yes, I have experienced God’s healing. He certainly answers prayer on behalf of others as this post shows. This is a wonderful post. Thank you for sharing your experience and the blessing you had in the form of your answered prayer to get to know your dad. It’s hard sometimes to accept that our all-knowing God has bigger plans and our requests may or may not be granted. We just need to know that He hears us.